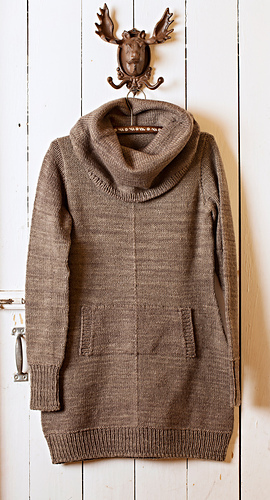 Windchill is a long line, cowl neck tunic. 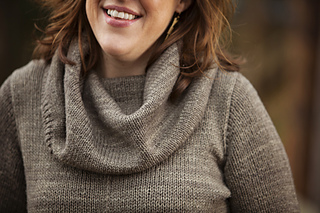 Because it is knit from the top down you can try it on as you work, ensuring a great fit! Knit with waist shaping, the hourglass shape is perfect to pop on over leggings or skinny jeans. Or, maybe you would prefer no waist shaping and to knit it as a knee skimming dress. If pockets are your thing, the kangaroo styled front pocket is just plain fun. So many options!